Custom tee shirts are the latest craze among adults and children alike, for many reasons of course. It’s cool, it’s affordable and also comfortable. When it comes to casual wear, nothing beats printed t-shirts. You can just put on a t-shirt and go about doing your business without caring about anybody. We firmly believe that its popularity is not going to fade anytime soon. But, t-shirts don’t print themselves! It takes a graphics designer, a t-shirt designer software, and most importantly some printing machines. 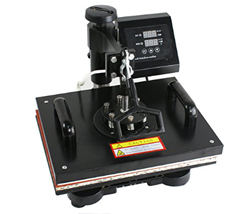 Today, we are going to list out 10 most demanded heat press printing machine. 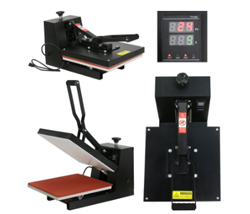 Be it sublimation t shirt print or dye sublimation printing on promotional products, these heat press machines can simplify your printing process. Let’s explore the top 10 heat press printing machines that can ease your sublimation printing process. This is one of the best and the most popular sublimation heat transfer press machine in the industry. This is the commercial grade and heavy-duty machine. 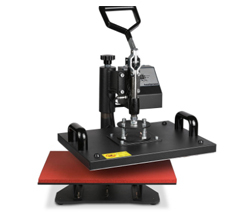 The 12″ x 10″ press has temperature range up to 750F. It’s perfect for t-shirts, license plates, wood, ceramic, glass etc. the swing away design makes the process easy and comes with adjustable pressure setting with digital timer and temperature control. 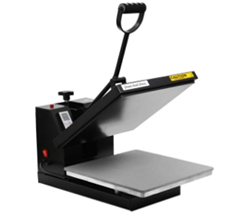 This 15″x 15″ sublimation t-shirt heat press comes with the silicone gel based board. It has a power output of 1800 W with adjustable pressure and a replaceable fuse. It comes with fully digital temperature and time control which has a temperature range of 0-750F and a time range of 0-999 s. The Teflon coated heating plate makes it convenient to clean and eliminates the need for the coated sheet. It is harmless to cloth. 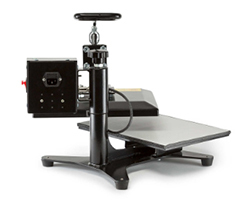 It generates a power output of 1800 W and offers features that meet the need of every commercial t-shirt printers. It heats up fast and enables faster product output with quality and safety at the end of the day. The 15″ x 15″ sheet distributes heat well and has a durable heat-resistant design which is of great value and comes with lower chances of scorching and warping. The model PRO-3804X replaces older 3801, 3802, 3803, and 3804 series models. This is a heavy-duty machine with a power output of 1400 W and has a temperature range of 750F. It has the versatile application that allows transfer on a range of material including fabric, metal, wood, ceramic and glass. This is a 12″ x 15″ t-shirt press and 6″ x 3″ cap press, heavy-duty, commercial grade and build to last heat press machine. It makes pressure delivery uniform with its adjustable multi-spring balancer. 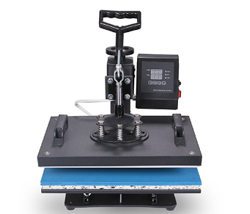 This is an all-in-one heat press which can be used for t-shirts, caps, ceramic tiles, coaster, mugs etc. It comes with a silicon pad that can endure a max temperature of 150-degree celsius without distortion. The time range is from 0-999s and has a power output of 1200 W. It is perfect for heat transfer printing of t-shirts, bags, mouse pads etc. It works with most standard outlets with its universal 110-volt system and gives a power output of 1800 W. It comes with a Teflon coated heat platen with precise time setup with electronic time and heat control. The silicon gets the based board is perfect for applying transfers to t-shirts, garments, bags, mouse pads, id bags etc. 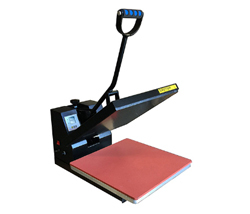 It’s a versatile 8 in 1 function multipurpose heat press machine. It houses a large transfer element with an adjustable multi-spring balancer. 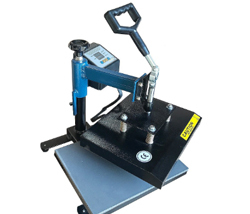 The machine comes with a full 360-degree rotation of swing-away design and Teflon coated platen press. 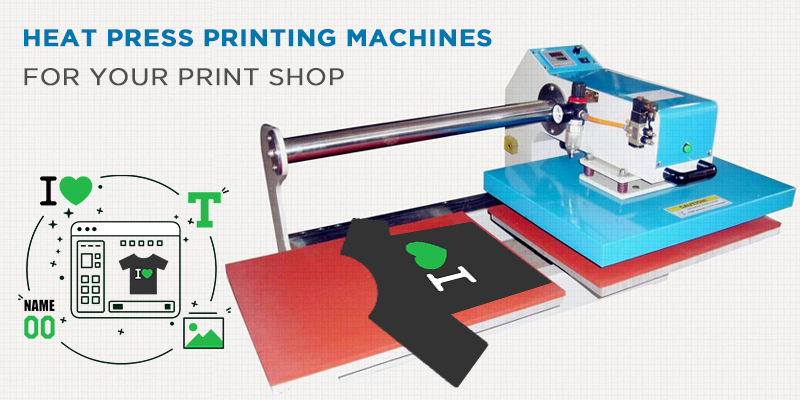 This heat press machine has the versatile application with print for t-shirts, mugs, coasters, ceramic plates, mouse pads, caps etc. It comes pre-installed with Teflon coated heat platen which eliminates the need for the separate Teflon sheet. 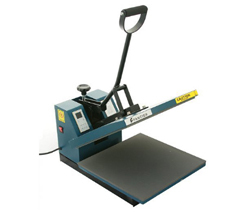 This versatile machine is perfect for print on fabric, metal, wood, glass, and ceramic. The swing away design facilitates heat to be applied more evenly. With 360-degree rotation swing arm, it facilitates easy removal of print material without any chances of accidental contact. 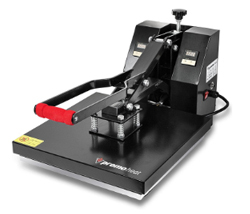 It’s 5″ thick heating board facilitates even distribution of pressure across the entire platen. Provides inbuilt structural support to maintain flatness and quickly warm up. It comes with upgraded aluminum alloy cradle which can be detached for the uses of the mug. This machine is compact and lightweight than other mug cradles. An advanced sublimation printing software along with a top heat press printing machine can skyrocket your heat press printing business.